The Peniel Pentecostal Holiness Church was organized under the ministry of Reverend G.W. Stanley on August 20, 1922 with sixteen members. The earliest historical record lists nine of the charter members: Mr. & Mrs. C.A. Neal, Mr. & Mrs. A.E. Meadows, Mrs. M.J. Meadows, Mrs. Laura White, Mrs. R.B. Smith, Mrs. J.W. Boles, and Mrs. F.E. Boles. Prior to the organization of the church, Reverend C.A. Stroud and Reverend A.C. Correll came to the Palmyra community in August, 1920 searching for a location to conduct an “old-fashion” tent revival. Mr. J. B. Greene provided a lot where a tent was erected. The following weeks the “fallow” ground was broken and the seeds of the holiness, Pentecostal message began to be planted. Reverend Stroud and Reverend Correll returned in August, 1921 to the same location to continue ministering as the Lord directed. The preaching and ministry of these Pentecostal Holiness preachers touched the lives of several denominational believers from Methodist, Baptist, Christian, and Lutheran congregations. In August of 1922, Reverend A.C. Correll returned to the Palmyra community with Reverend G.W. Stanley. The anointed preaching and ministry of Reverend Stanley and Reverend Correll began to produce fruitful results as individuals experienced the saving grace of Jesus Christ. 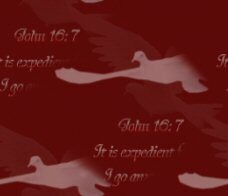 Others were sanctified as the holiness message was proclaimed and still others responded to the Pentecostal message and were baptized with the Holy Spirit with evidence of speaking with other tongues as the Spirit gave utterance. This revival birthed the formation and organization of the Peniel Pentecostal Holiness Church under Reverend G.W. Stanley. This band of believers agreed on the name Peniel as the name of their new church – for they surely had seen the “face of God.” One of Peniel’s charter members, Mrs. Laura White allowed this newly organized church to meet for Sunday school and preaching services under a large oak tree in her yard for the rest of the summer. As the autumn leaves began to change, the congregation moved into Mrs. White’s house. Plank seats were constructed and used to accommodate this new, growing congregation. The Lord blessed the Pentecostal witness of this congregation with a plot of land on Rosebud Road donated by Mr. Walter W. White. A wood frame building was constructed and completed in February 1923. The church is still located on its original site and has made numerous additions and renovations to provide a facility that would allow the congregation to gather together for worship and be sent out to work for the kingdom of our Lord. The Home Missionary Society was organized in 1929 with Mrs. S. D. Johnson serving as president. Mrs. Vernie Johnson as Secretary/Treasurer. The earliest recorded business meeting verifiable (original documentation) was held November 22, 1931. Reverend H.V. Dempsey officiated. The following officers were elected: Deacons: J.W. Boles, Herman Boles, & Ollie Warren. Secretary/Treasurer: Mrs. C.A. Neal. The history of the Peniel Pentecostal Holiness Church was complied by Pastor Tim Nelson from the original record book dated back to the early 1930’s, Cornerstone (Western North Carolina) Conference minutes, an interview with Mrs. Sadie Hampton, a report written by Don Lawson from an personal interview with Mrs. Avis Shelton Boles, and a written report provided by Dexter Carroll.